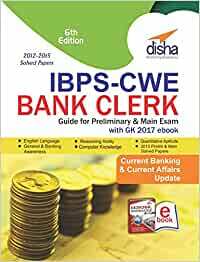 IBPS-CWE Bank Clerk Examination Guide – 6th edition contains specific sections for 'Reasoning, English Language, Numerical Ability, General Awareness with special reference to Banking Industry and Computer Knowledge'. The book contains to the point theory with illustrations followed by a set of exercise with solutions. The book provides the 2012 - 2015 Solved papers including the 2015 Prelim & Mains paper. The Computer Knowledge section has been divided into 5 chapters to give in-depth knowledge of the section. 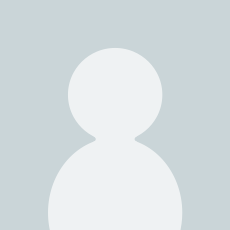 The General Awareness section has been divided into 4 exercises – Conceptual Banking Questions, Current Banking Questions, General Awareness Questions and Current Affairs Questions. The book covers a lot of questions from the past Bank clerk exams of various banks. This new edition is empowered with the GK 2017 eBook which provide gist of History, Polity, Economics, Geography, Sports, Art, Culture & Current Affairs Update. Many answers are not given. Rest the content is good to gain knowledge nd for practising. There is no gk ebook 2017 inside the product package, how will I get the ebook now? I think this was not a original book. The code they give never works..
1.0 out of 5 starsVery bad dealing. Selling old book with new cover, nothing to do with syllabus. Very bad dealing. Excellent book for the ibps bank exam.